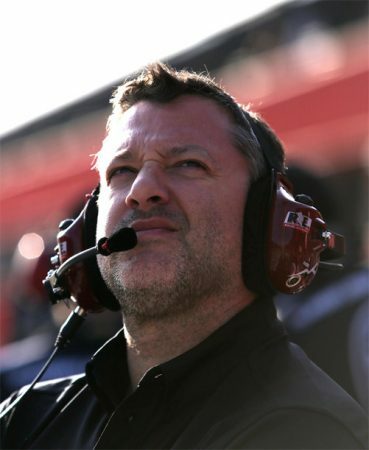 After a 20-year NASCAR driving career, the last 18 of which were spent in the NASCAR Cup Series, Stewart retired from his NASCAR driving duties following the 2016 season to focus on his co-ownership of Stewart-Haas Racing (SHR) with industrialist Gene Haas, and to partake in the kind of open-wheel dirt racing where his path to NASCAR began. USAC’s top-three national touring divisions are Midget, Sprint and Silver Crown. After winning the Midget title in 1994 and finishing 10thand sixth in the Sprint and Silver Crown divisions, respectively, Stewart went out and set a new standard of excellence in 1995 by winning all three divisions. No driver had ever won the Sprint, Midget and Silver Crown championships – divisions that run three very different types of racecars which compete on both asphalt and dirt – in a single season until Stewart. Along the way, Stewart has won some of the biggest races in motorsports. He is a two-time winner of the Brickyard 400 (2005, 2007), a seven-time winner of the season-opening NASCAR Xfinity Series race at Daytona (Fla.) International Speedway (2005, 2006, 2008, 2009, 2010, 2011, 2013) and a two-time winner of the famed Chili Bowl, an all-star Midget race at the Tulsa (Okla.) Expo Raceway (2002, 2007). He’s also won such famed USAC races as the Copper World Classic at ISM Raceway near Phoenix (2000), the Turkey Night Grand Prix at Irwindale (Calif.) Speedway (2000) and the 4-Crown Nationals at Eldora Speedway in Rossburg, Ohio (1995). That success led Stewart to earn a ride in the fledgling IndyCar Series. He made the most of it by winning the series championship in 1997, which sowed the seeds of Stewart’s NASCAR success. A schedule of 22 NASCAR Xfinity Series races with Joe Gibbs Racing in 1998 prepared Stewart for his assault on the Cup ranks in 1999. Stewart repeated this feat in 2001 when he drove an Indy car for Chip Ganassi at Indy. He bettered his mark from 1999 by finishing on the lead lap in sixth before jetting off to Charlotte for the Coca-Cola 600. He improved that finish as well, coming home third in the 600-miler. Stewart completed all 1,100 miles – breaking his record for most racing miles driven in a single day. But Stewart ended a 375-race winless streak for driver/owners when he won the NASCAR Cup Series race June 7 at Pocono (Pa.) Raceway – the first of four point-paying victories he earned in 2009. He also broke another streak the previous week when he took the championship point lead after finishing second at Dover (Del.) International Speedway. Not since Alan Kulwicki on Nov. 15, 1992 had a driver/owner led the point standings, but there was Stewart, 556 races later, atop the points – a position he held for 13 straight weeks before being reseeded for the final, 10-race NASCAR Playoffs. Stewart one-upped this accomplishment in 2011 when he won the NASCAR Cup Series championship, becoming the first driver/owner to win the title since Kulwicki in 1992. Stewart was only the third driver/owner to become champion in the last 30 years, as Petty’s seventh and final championship in 1979 had been the last for a driver/owner until Kulwicki’s in 1992. Stewart already was setting himself apart from other talented drivers as an equally talented team owner long before Stewart-Haas Racing was even a remote possibility, where from a 200,000-square-foot facility in Kannapolis, North Carolina, nearly 400 employees work on the fleet of Ford Mustangs for drivers Kevin Harvick, Aric Almirola, Clint Bowyer and Daniel Suárez in the NASCAR Cup Series as well as the Ford Mustangs for drivers Cole Custer and Chase Briscoe in the Xfinity Series. In November 2000, Stewart formed Tony Stewart Racing (TSR), and since its inaugural season in 2001, TSR has earned 26 owner championships – 14 in USAC, nine in the World of Outlaws (WoO) Sprint Car Series and three in the UMRA King of the TQ Midget Racing Series. Operating out of a state-of-the-art 25,000-square-foot facility in Brownsburg, Indiana, TSR campaigns a WoO team for 10-time series champion Donny Schatz.Schatz earned TSR’s most recent title when he scored the 2018 WoO championship. In addition to TSR, Stewart also owns the legendary Eldora Speedway. The half-mile dirt oval is where Stewart frequently raced as an up-and-coming USAC driver and it hosts several of the year’s largest dirt racing events, which in 2013 included a first-ever stop by the NASCAR Truck Series. It was the first time in more than four decades that a top NASCAR series had competed on dirt. The race has since become a crown-jewel event on the Truck Series circuit, with 2019 marking the series’ seventh visit to Eldora. Stewart is a hands-on owner, assisting with everything from preparing the track to handing out awards during the season-ending championship banquet. Stewart is also part-owner of two other racetracks – Paducah (Ky.) International Raceway and Macon (Ill.) Speedway. While not seeking accolades, Stewart’s charitable efforts have nonetheless been noticed. He was named “Most Caring Athlete” by USA Weekendin 2004 and in that same year was selected by The Sporting Newsas “NASCAR’s ‘Good Guy’” and received the NASCAR Person of the Year award. In 2008, NASCAR Illustratedbestowed upon Stewart its Person of the Year award, as Stewart’s Prelude To The Dream all-star dirt Late Model race at Eldora Speedway raised more than $4 million for charity during its eight-year run. In 2009, Stewart was nominated for the National Motorsports Press Association’s (NMPA) Humanitarian and Spirit awards, each of which recognizes philanthropy. In 2010, Stewart again was a finalist for the NMPA Humanitarian award, becoming the only person to ever be nominated in back-to-back years. Making the 2010 selection even more noteworthy was that Stewart won and earned $100,000 for his Foundation. In 2013, Stewart earned the prestigious NMPA Myers Brothers award, which recognizes outstanding contributions to the sport of stock car racing. Stewart still calls Columbus home, residing on a 430-acre farm. He has a sister, Natalie, who assists with Tony Stewart Fan Club initiatives along with their mom, Pam Boas, who also is involved with his Foundation.